Wednesday Wrap: Mixcloud on Sonos, Netflix on your remote and more | What Hi-Fi? 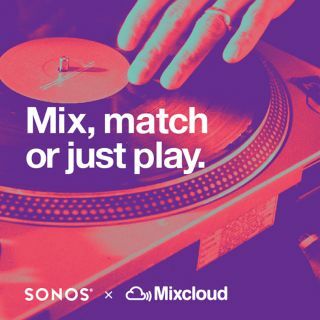 It's a week of updates, with Microsoft updating the Xbox One, Amazon updating its Prime Video Android app and Sonos introducing Mixcloud to the multi-room system - and it's all inside What Hi-Fi? 's Wednesday Wrap. After adding CD-quality lossless services Tidal and Deezer Elite, Sonos has now announced three more services that can be added to its multi-room system: 22tracks, Mixcloud and Saavn. Mixcloud, a dance-based music service, offers radio shows, podcasts and DJ mixes from a variety of genres, while 22tracks offers curated content from DJs. Meanwhile Saavn offers Bollywood and Indian language tracks. Sonos now offers a total of 60 music services. Microsoft releases an update for the Xbox One every month, and April’s release brings with it an added ‘What’s on’ tab, giving access to popular videos, games, movies, TV shows and more. Other updates include improved party chat and a guide to help with setting up a microphone. Amazon has now brought support of its Prime Instant Video service to Android tablets in the UK. To access it, simply download the Prime Instant Video app from the Amazon Appstore. Amazon’s X-Ray feature also makes an appearance, which provides extra information about movies and TV shows from IMDb, directly on your screen. The X-Ray feature has also been added to the Prime Video app for Android smartphones. Netflix US has announced the first TVs to carry the 'Netflix Recommended TV' logo. The logo is designed to show the TVs which will work best with Netflix, combining performance, features and ease of access. The first sets to get the stamp are LG 4K TVs with webOS, Sony Android HD TVs and Roku TV sets (which we've not seen in the UK, yet). Netflix also announced deals with “several major brands” to bring a dedicated Netflix button to remote controls for TVs, Blu-ray players and set-top boxes. Some manufacturers, such as Sony, already provide a button with some of its remotes, but the latest deal will see more manufacturers adopt the one-touch approach. Those manufacturers include Pansonic, Philips, Sony, Toshiba and Vestel. “The new Netflix button on remotes in Europe makes watching Netflix as easy as changing the channel on traditional TV, allowing viewers to enjoy our great programming much quicker,” said Bill Holmes, head of business development for Netflix.